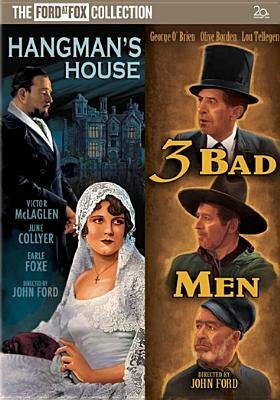 THREE BAD MEN: In John Ford's 1926 drama, three outlaws step up the task of helping a young girl whose father was killed. HANGMAN'S HOUSE: Set in Ireland, this 1928 John Ford feature concerns a dying man's attempts to arrange a future and marriage for his daughter, who wants nothing to do with the plan. John Wayne appears as an extra in one scene.